Kaylee played lacrosse for 4 years, starting her junior year of high school at Mission Hills High School. She adores bulldogs and will break into a squealing fit upon seeing one. Outside of lacrosse, she was the Verbal Coordinator of the People's Test Preparation Service which offers free SAT prep classes for students in Berkeley. She teaches and tutors students in Alameda county for SAT prep. She frequents coffee shops and would love to talk with you about education policy for hours. Kaylee also enjoys baking, especially cupcakes, and will make you some whenever you want (rainbow cupcakes are her specialty!). Jenine played varsity lacrosse for 3 years at St. Stephen's Episcopal School in Austin, Texas. She played 2 years on the Cal Women's Club Lacrosse team, and she is always excited to play lacrosse. Outside of lacrosse, she loves to run, hike, swim, ski, play basketball, and do basically anything outdoors. On campus, Jenine did research in the Education department and was also an Organic Chemistry tutor for the Student Learning Center. She would make a chemistry joke... but all of them Argon. Before coming to Cal, Nicole played for Gunn High School’s varsity lacrosse team for four years and was a co-captain as a senior. Outside of lacrosse, she is also part of Alpha Chi Omega sorority where she is a member of their Sustainability Committee, and she also volunteers at the WriterCoach Connection (as a high school English mentor) and Berkeley sStudent Food Collective (a little eco-friendly student organized grocery store on Bancroft that’s run by volunteers). She recently studied abroad in India! Melissa played lacrosse for 7 years, but hopes to find a way to stay involved in the sport after college. She is super passionate about Blueprint, a club that provides web and mobile applications for non-profits in the Bay Area. Melissa loves the California sunshine though spends too much of it inside coding away. She will be graduating Fall 2014. Kalina is a Texan notorious for blowing up jeeps and flipping four wheelers into cacti. In her free time, when not causing public disturbances, she enjoys sitting in the sun and eating BBQ (preferably at the same time, but BBQ is good just about anywhere). She took a break of four years and then decided to try her luck at playing again, and avoided any major injuries. She graduated in Fall 2013. Tracy played varsity lacrosse since her freshman year at Los Alamitos High School and always brought the competitive spirit to practices and games. 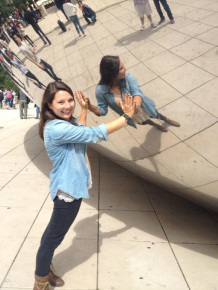 She had an incredible study abroad experience in Germany. When she's not laxin it up on the field, she loves to travel, read, and go to the beach. Chandra started playing lacrosse at St. Anne's-Belfield School in VA and continued throughout high school at State High in PA. Even though she didn't play in college at Penn State, she picked up the sport again at Cal. Most people call her "Chandy". She also enjoys cooking and traveling. Outside of lacrosse, she was a graduate student in soil and environmental chemistry. Maddy played lacrosse for 10 years, four of which were at her high school, Newton Country Day School. She also played soccer and ice hockey for NCDS. 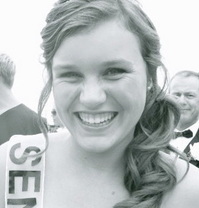 Outside of lacrosse, she was an active member of the Alpha Delta Pi sorority and also held the Finance VP position. She also was a volunteer and campus coordinator for the Support for International Change. She looks exactly like a baby falcon. One of her favorite college experiences was studying abroad in Istanbul. Katie played three years on the Cal Club team before studying abroad in Barcelona, Spain. She was not new to the sport; in high school she played for 4 years with Santa Fe Christian High School in San Diego. Katie really loves corny jokes and puns. In 2012, she was named a WWLL All-Star Division I Second Team Player. Outside of lacrosse, she was the director of the Sage Mentorship Project at John Muir Elementary, and also worked as a Cal Athletics Sports Medicine student intern. She also held the VP position in her sorority, Delta Gamma. Jackie played for St. Ignatius College Prep and was captain her senior year of high school. She was on the club team for two years and made a lasting impact on several of the younger players; her sister Michaela played on the team for a year. She is a member of the Pi Phi sorority and studied abroad at the University of Sorbonne in Paris, France in Spring 2012. Sophie played on Gunn High School's team and alsothe Los Angeles Wave club team before coming to Cal, where she played for two years. She studied abroad in Iceland in summer 2011. Kelsey started playing lacrosse her sophomore year at Foothill High School in Pleasanton. She played for the Pacific Region team at the 2008 Women's Division National Tournament. In her senior year (2009), she was co-captain and co-MVP of her high school varsity team, made the All-EBAL first team, and an Academic All-American. In 2010, she was named a WDIA All-Tournament Player at Nationals and in 2012, she was named a WWLL All-Star Division I Second Team Player. 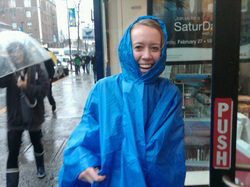 Kelsey is also actively involved in Cal's branch of Campus Crusade for Christ. Although she will not be playing lacrosse this year, she played for her first three years, and for that we consider her to be one of the alumnae of the team! Vanessa began playing lacrosse in 8th grade and has loved it ever since. She played on various club teams throughout high school and is so excited to be on the club team for her third year at Cal. In 2010, she was named a WWLL Division II First Team All-League Player and received the Most Outstanding Midfielder award at DII Nationals. 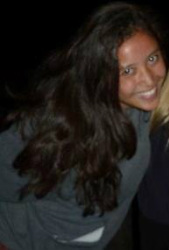 In her free time, Vanessa enjoys running, eating sushi, and traveling. And yes, her lacrosse nickname is "Panda". Don't ask. Devon was a devoted goalie to the team for all 4 of her years at Cal. Apart from show choir, she loves dogs so much that she works at Wizard of Paws: Professional Grooming for Small Dogs; she really wants a Wheaten Terrier one day. Devon is currently living in Berkeley, CA and coaching at Piedmont. Julia has been playing lacrosse for about 10 years, including 6 years as goalie on a traveling club team, at her local middle school (Eastside Eagles), and on her high school club team, Lake Sammamish. She made the transition to being a midfield player at Cal and loved all four years of it. She is a member of the Chi Omega sorority, and in her spare time, she raised dogs for the Canine Companion for Indendence (CCI), a nonprofit cause. Post graduation, she moved back to Seattle, where she is currently applying for medical school and working as a research scientist at the University of Washington. Naomi attended Georgetown Day School on the east coast before coming to Cal. 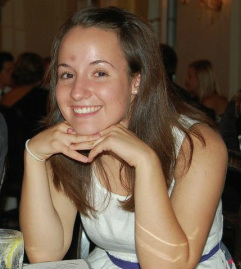 She studied abroad at the University of Belgrano in Bueno Aires, Argentina in Spring 2011 and loved every minute of it. Apart from school, she was an Americorp Summer Fellow in New Orleans in Summer 2010 where she professionally guided low-income youths. She will be living in Davis, CA this year. Jill started playing lacrosse at La Costa Canyon High School. She studied abroad at the University of Auckland in New Zealand in Spring 2011 and has a million experiences (including the major earthquake) she can tell you about. She has currently been accepted to nursing school in the midwest. Melissa is a star athlete, starting her athletic career at California High and continuing for all 4 years on the team at Cal. In Spring 2011, she studied abroad at the Lund University in Sweden and loved the experience of shorter, wintry days. Apart from school, she coached the Berkeley Lacrosse Club, is a soccer referee, and loves going to Cal Football and Basketball games. 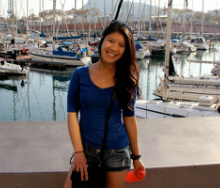 She is currently working for PricewaterhouseCoopers in the Advisory practice (Consulting) and living in San Francisco. 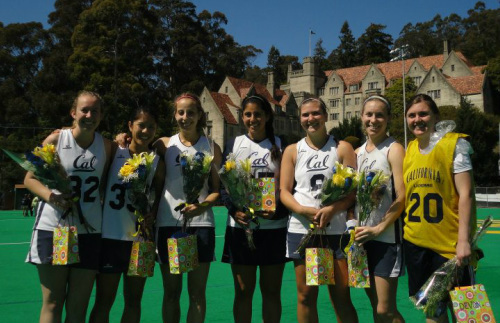 Elaine was a integral part of the 2010 National Championship team for Cal Club Lacrosse. She attended Foothill High School where she played basketball. 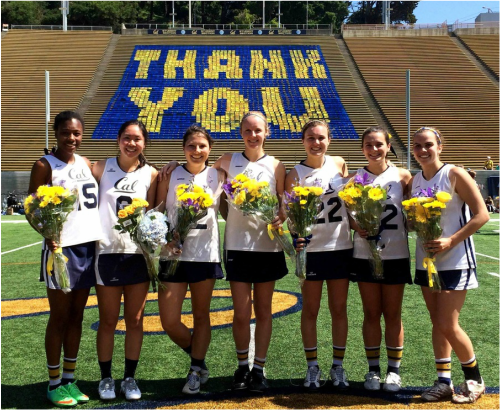 At Cal, she transitioned to lacrosse, and as a quick learner, she soon excelled in the sport. She now works for Disneyland as an engineer. Haleh played goalie in lacrosse for three years at La Costa Canyon High School but was new to playing on the field; however, she quickly excelled. She played Div. 1 field hockey at Cal for her first three years. Haleh's nicknames are however you can pronounce my name and she loves watching movies (especially Twilight!). She is back in SoCal where she is officially the Head Coach for field hockey at La Costa Canyon. Stephanie was on the team for 3 years but definitely made a lasting impact; her sister Heather played on the team for a year. She studied abroad at the University Autonomo of Barcelona in Spain during Spring 2011 and Ixchel Spanish School in Guatemala in Summer 2010. In addition to these travels, she was a Community Development Research Fellow in India and director of the Magnolia Project to help rebuild post-Katrina New Orleans. She is currently living in Berkeley, CA. Sophie was an integral part of the defense on the team for all 4 years. Apart from school, she was the president of the Queer-Straight Alliance (QSA) at Cal. She is currently living in Berkeley. Lindsea started playing lacrosse at La Costa Canyon, like many of the Cal Women's Club Lacrosse alumnae. She continued playing at Cal where she rose in ranks to Team Captain due to her jovial personality and willingness to help others. She studied abroad in Italy in Summer 2011 and was enthralled by the european life and ways of living. She currently resides in Los Angeles, CA where she is a nutritional therapist and a Long Beach grad student in the kinesiology masters program. She also writes her own food blog, butterisbetter.tumblr.com to help promote a healthy lifestyle. Lillian started her athletic career as an amazing gymnast; however, she picked up lacrosse during spring semester of her freshman year at Cal and couldn't put her stick down. In Fall 2011, she studied abroad at the University of Cape Town in Cape Town, South Africa and loved every minute of it, especially the amazing scenery and places to explore there. However, Lillian missed lacrosse like crazy and happily returned for the spring season. She now lives in Piedmont where she is studying to become a nurse and currently is a certified birth doula. Lauren played soccer and lacrosse at Acalanes High school on the varsity team; her team won the State Championship in her sophomore year. She also won several accolades as part of her four years on that team. She rowed for Cal for two years and then switched to play as part of our club team. She studied abroad in Argentina in Spring 2010, and although she wasn't physically present for the season, she is a national champion in our hearts. 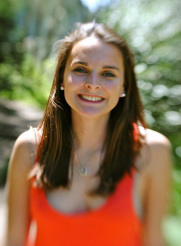 Lauren now works for Teach For America and lives in Washington, DC. Hailing from La Jolla High, where she first started playing lacrosse, Liz played on the team since its start in 2008. However, in 2010, she was unable to play throughout the entire national championship season due to an on-field spleen injury. During her recovery, she continued to lead the team to WWLL and WDIA championships and has made the largest impact on the team. Apart from lacrosse, Liz worked in the Bishop Lab to study affective cognitive neuroscience and was also a lacrosse coach for the West LA team. She is currently a graduate student studying Social Cognitive Neuroscience at UCLA. Connie was one of the founding members on the team after attending Leland High School in SJ and loved every minute of it. Outside of lacrosse, she did reserach in the Knight Lab for a year studying human-brain machine interfaces and in the Jagust Lab studying Alzheimer's disease neuroimaging initiative. She is currently a graduate student in the joint UCSF/UCB program studying bioengineering in the Chang Lab. Jacqueline started playing lacrosse in her last year at Cal and really loved the excitement of this fast-paced game. Before college, she was a Spanish Cryptologic Linguist and Special Signals Intelligence Analyst in the Marines for five years. Jacqueline really loves horses and her dog Chomper. She now lives and works in Fredericksburg, VA.
Rachael made a lasting impact on many of the older players due to her jovial personality and charm. Though she may not seem like a threat, she was a strong member of the offense during her time on the team. 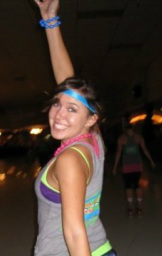 Rachael was also a founder of Lambda Alpha Chi. She left Berkeley to travel the world, specifically Thailand and southeast Asia, but has recently recently returned to SD. She will be starting graduate school in Germany this year. Jenn played on the club team since its start in Division II. Apart from lacrosse, Jenn was an active member of the Lambda Theta Alpha sorority. She lives in the Bay Area. Julie currently lives in San Diego and previously worked at the Nv Studios as a freelance photographer. She now is the resource coordinator for the Alliance for African Assistance, a nonprofit organization. Rachel was one of the founders of the team with the help of her 2009 classmates, whose dedication helped to push the club through the RSF into what it is today. 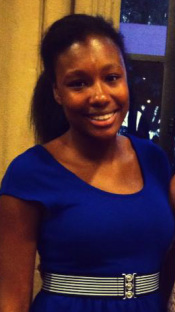 After Berkeley, she moved to Johns Hopkins University to study nursing and currently lives in Baltimore, MD. Like many of her lacrosse teammates, she loves dogs and animals so much that she worked at the Houston Zoo for a summer. She currently resides in Houston, TX.